Mirella Crafts: Happy Steampunk Sunday!!!!!! Very creative, Anne, love the colours! fab postcard Anne. the new distress inks look. Faboulous color and great stamping! A perfect bit of steampunk! 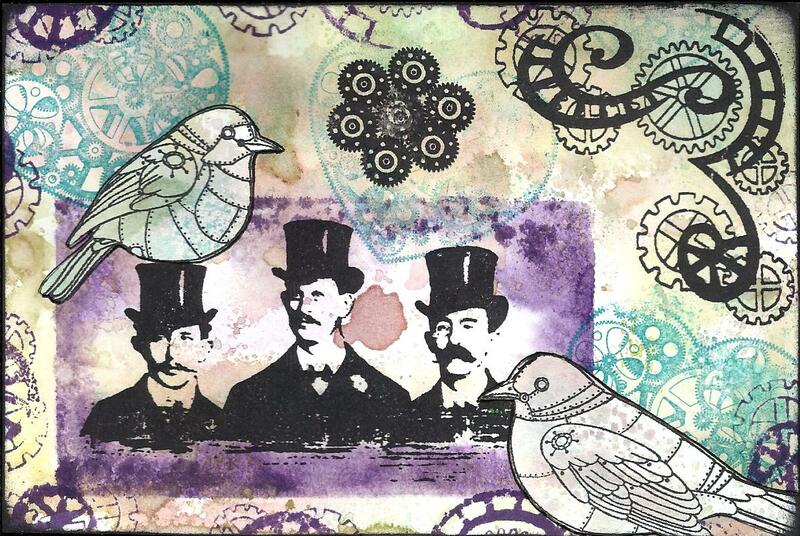 Fantastic use of colour - and I love those steampunk birds. love that Tim Holtz stamp (own it also!). great postcard! I like your distinguished steampunk gentlemen!